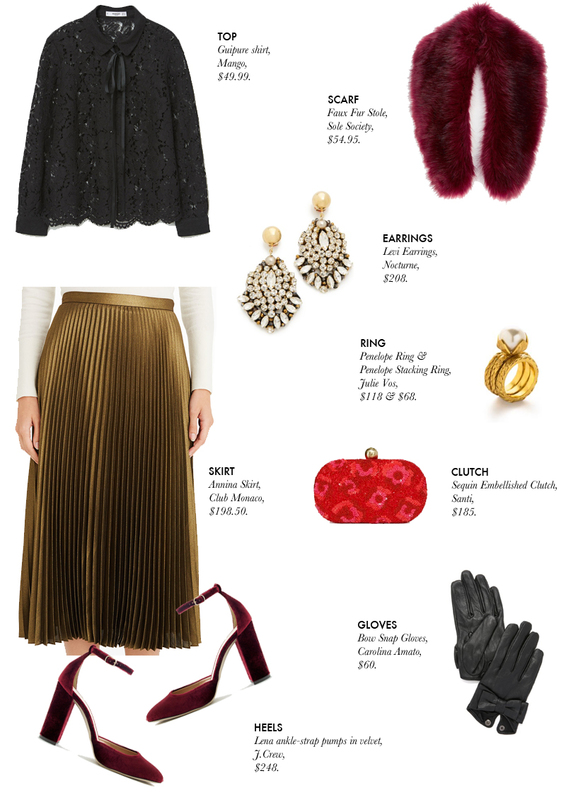 It's that time of year, when we start thinking about holiday parties and start stressing over what to wear. But I'm here to help! I thought it'd be fun to do a Hi/Lo post on a holiday look that I would love to wear, if only I had a party to go to... Someone want to invite me to one?? Just kidding, I'd wear this anywhere, honestly. I've been wanting a pleated midi skirt, and I think this one is absolutely dreamy. The color alone caught my attention, and I could see myself wearing it a little more casual with a slouchy sweater, or even a white tee and a cute bomber jacket on top. So many possibilities with it, right? I'll be sharing a few more holiday looks in these Hi/Lo posts so stay tuned!